Interior Designer Johnson Chou Inc. 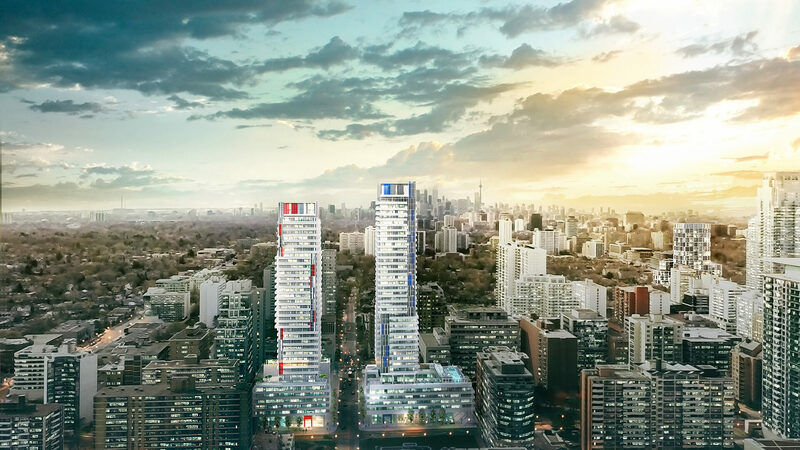 The taller sister building to 155 Redpath is cementing Yonge + Eglinton’s rep as the new midtown Toronto. The building’s modern exterior design carries through to the individual suites, featuring dramatic floor to ceiling windows and a variety of suite configurations ranging from thoughtfully laid-out condos, 2 storey suites, and a limited number of distinctive townhomes. With amazing amenities like this incredible rooftop pool, a 24hr diner located in the lobby, a gym, spa, fire pits, social room, bbqs, and a billiard room dubbed “the cave”, 150 Redpath is the hottest thing to come to the corner of Redpath + Roehampton Ave since 155.